This homeowner was referred to us by one of our commercial clients who has been pleased with our services over the years. The home is around 1300 square feet and it has natural gas for heating. 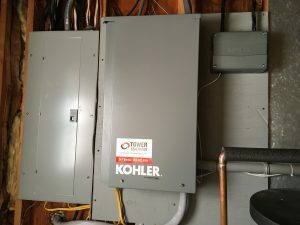 We utilized a 12kw generator that produces 11kw on natural gas to power the entire house. 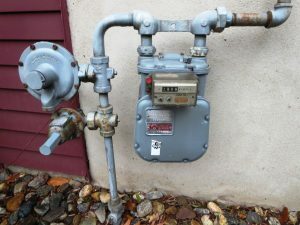 As is the case in most houses the gas meter required an upgrade in order to supply the necessary gas pressure to run the new generator. 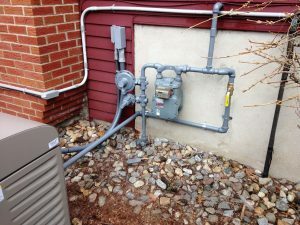 The gas company does the meter change and Tower Generator handles the rest. This project was the perfect winter project as the generator was located three feet from the house, therefore eliminating the need for trenching. Future outages will be nothing more than about ten seconds of inconvenience as they transfer from utility to standby power. Also, the home is protected even if they are traveling.